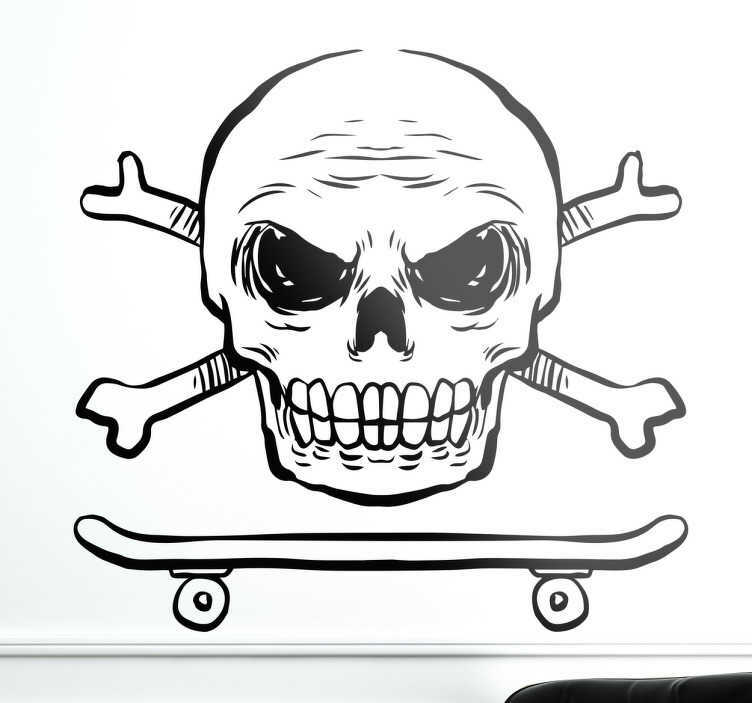 This punk wall sticker is the absolutely perfect addition to your home to let everyone know about your love for skate culture! Featuring a skull and crossbones full of attitude above a skateboard, this sticker is applicable to any hard smooth surface and is as easy to apply as it is to remove- leaving absolutely no residue upon removal! This vinyl is available in a wide variety of different sizes!